Osumilite: Mineral information, data and localities. 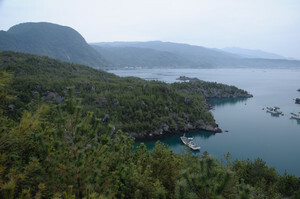 Named in 1953 by Akiho Miyashiro for the Osumi Peninsula, Japan, on which the type locality is found. Difficult to distinguish from Osumilite-(Mg). Tridymite 19 photos of Osumilite associated with Tridymite on mindat.org. Quartz 5 photos of Osumilite associated with Quartz on mindat.org. Pseudobrookite 5 photos of Osumilite associated with Pseudobrookite on mindat.org. Hematite 4 photos of Osumilite associated with Hematite on mindat.org. Cordierite 3 photos of Osumilite associated with Cordierite on mindat.org. Mullite 3 photos of Osumilite associated with Mullite on mindat.org. Albite-Anorthite Series 2 photos of Osumilite associated with Albite-Anorthite Series on mindat.org. Magnetite 1 photo of Osumilite associated with Magnetite on mindat.org. Osumilite Group 1 photo of Osumilite associated with Osumilite Group on mindat.org. Phlogopite 1 photo of Osumilite associated with Phlogopite on mindat.org. Miyashiro, A. 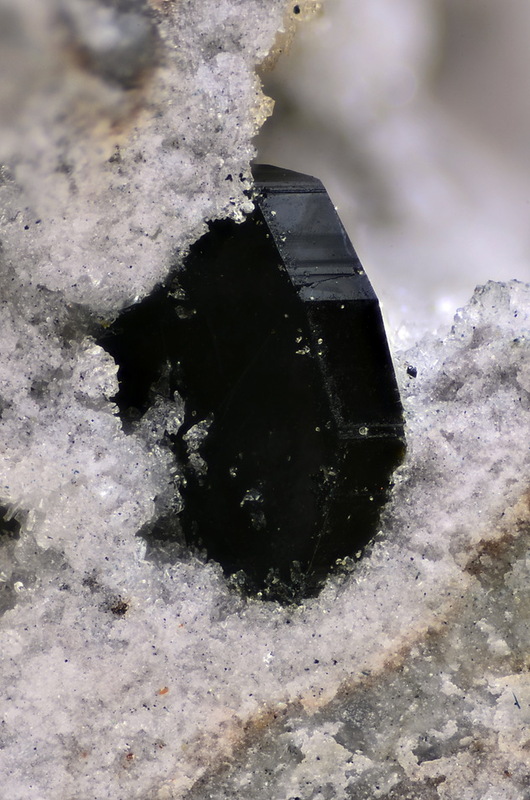 (1953) Osumilite, a new mineral, and cordierite in volcanic rocks. Proceedings of the Japan Academy: 29(7): 321-323. Miyashiro, A. (1956) Osumilite, a new silicate mineral and its crystal structure. American Mineralogist: 41: 104-116. Brown, G.E., Gibbs, G.V. (1969) Refinement of the crystal structure of Osumilite. American Mineralogist: 54: 101-116. Olsen, E., Bunch, T.E. (1970) Compositions of natural Osumilites. American Mineralogist: 55: 875-879. Chinner, G.A., Dixon, P.D. (1973) Irish Osumilite. Mineralogical Magazine: 3: 189-192. Berg, J., Wheeler, E.P. (1976) Osumilite of deep-seated origin in the contact aureole of the anorthositic Nain complex, Labrador. American Mineralogist: 61: 20-37. Goldman, D., Rossman, G. (1978) The site distribution of iron and anomalous biaxiality in Osumilite. 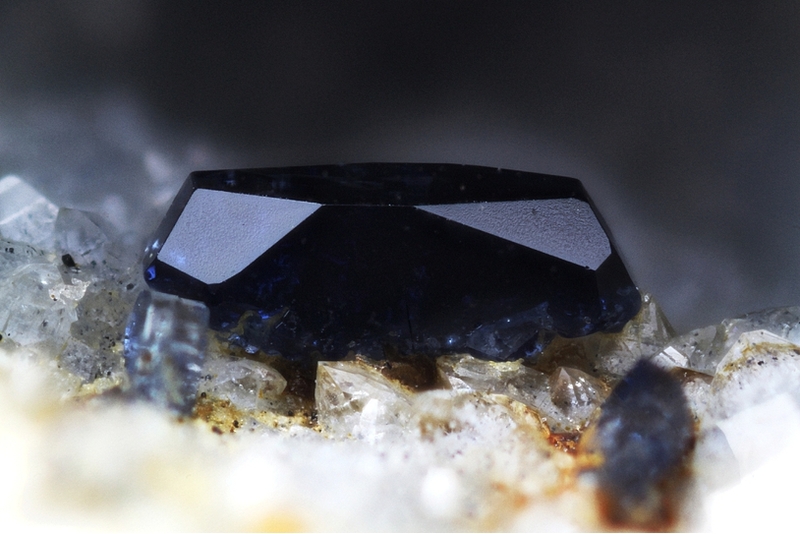 American Mineralogist: 63: 490-498. Schreyer, W., Hentschel, G., Abraham, K. (1983) Osumilith in der Eifel und die Verwendung dieses Minerals als petrogenetischer Indikator, Tschermaks mineralogische und petrographische Mitteilungen: 31: 215-234. Armbruster, Th., Oberhänsli, R. (1988) Crystal chemistry of double-ring silicates: Structural, chemical, and optical variation in osumilites. American Mineralogist: 73: 585-594. Parodi, G.C., Della Ventura, G., Lorand, J.P. (1989) Mineralogy and petrology of an unusual Osumilite + vanadium-rich pseudobrookite assemblage in an ejectum from the Vico Volcanic Complex (Latium, Italy). American Mineralogist: 74: 1278-1284. Nowicki, T.E., Frimmel, H.E., Waters, D.J. (1995) The occurrence of Osumilite in pelitic granulites of the Namaqualand metamorphic complex, South Africa. South Africa Journal of Geology: 98: 191-201. Sokol, E.V. (1997) The new genetic type of Osumilite occurrence. Zapiski RMO, Vol: 126(4): 43-53. Balassone, G., Mormone, A., Rossi, M., Bernardi, A., Fisch, M., Armbruster, T., Malsy, K., Berger, A. (2008) Crystal chemical and structural characterisation of an Mg-rich Osumilite from Vesuvius volcano (Italy). European Journal of Mineralogy: 20: 713-720. Sogawa, N., Shinoda, K., Shimobayashi, N. (2013) Water molecules in the channel-like cavities of osumilite. Journal of Mineralogical and Petrological Sciences: 108: 101-104. Ellis, D.J., Sheraton, J.W., England, R.N., Dallwitz, W.B. (1980) Osumilite-Sapphirine-Quartz Granulites from Enderby Land Antarctica — Mineral Assemblages and Reactions. Contributions to Mineralogy and Petrology, 72:2, 122-143. Grew, E.S. (1982) Osumilite in the sapphirine-quartz terrane of Enderby Land, Antarctica: implications for osumilite petrogenesis in the granulite facies. American Mineralogist, 67 (7-8), 762-787. U. Kolitsch, W. Postl, H.-P. Bojar and W. Trattner (2009): Die Mineralvorkommen im Basalt des Pauliberges. In: Autorenkollektiv (Red. 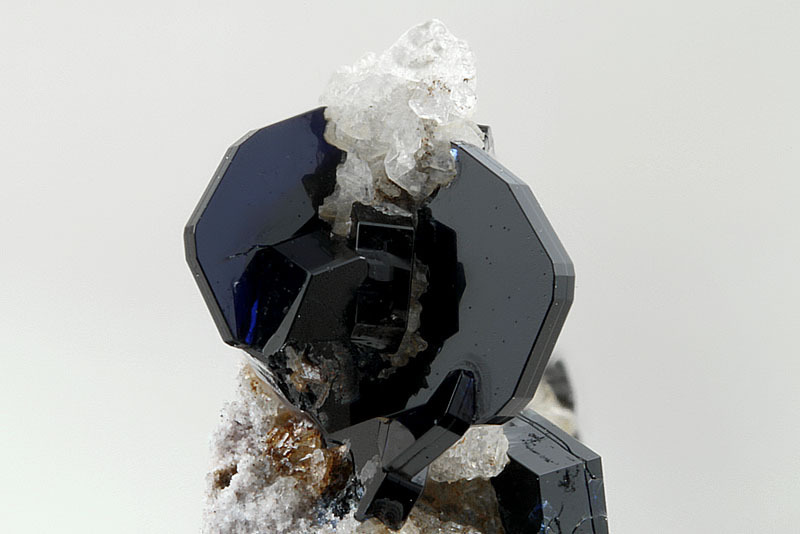 M. A. Götzinger und P. Huber) (2009): Die Mineralien des Burgenlandes - Geologie, Mineralogie und mineralische Rohstoffe. – Wissenschaftliche Arbeiten aus dem Burgenland, Band 126, Amt der Burgenländischen Landesregierung, Abteilung 7 - Landesmuseum, Eisenstadt, 83-99.
photo in: Koubutsu Doshikai (2017) Kanto-to Shuhen-no Koubutsu (279pp). Miura, Y. (2011) Osumilite-Like Phases in Chondrules of the Nio Chondrite, Yamaguchi, Japan. Formation of the First Solids in the Solar System. pdf#9013. Olsen E., Bunch T.E. (Am. Min. 55, 875-879, 1970); Martin, A.M.,Médard, M.,Devouard, B., Keller, L. P., Righter, K., Devidal, J-L., and Rahman, Z. (2015): Fayalite oxidation processes in Obsidian Cliffs rhyolite flow, Oregon. American Mineralogist: 100: 1153–1164.